Audio software, video software, programs to watch movies, software to listen to music, television software, programs for free download AnyCap Screen Recorder, tinyMediaManager, Accessory Media Viewer, ThunderSoft Free Video Editor, UkeySoft Video Converter, FairStars Audio Converter, FairStars CD Ripper, Webcamoid, FairStars Recorder, AnyMP4 DVD Ripper Download for free! »» Free download AnyCap Screen Recorder! AnyCap Screen Recorder ::: a computer program that allows users to capture video. Using AnyCap Screen Recorder can capture everything that happens on the computer screen. AnyCap Screen Recorder is a simple, stable, fast and efficient video capture software. tinyMediaManager ::: a computer program that allows users to manage their movie collection. tinyMediaManager offers different search options and support for subtitles. 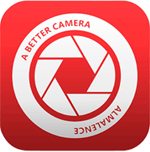 »» Free download Accessory Media Viewer! Accessory Media Viewer ::: a computer program that allows users to manage digital content. Accessory Media Viewer is customizable, supports most popular media formats and allows different ways of classification. »» Free download FairStars Audio Converter! FairStars Audio Converter ::: a computer program that allows users to convert audio files. Using FairStars Audio Converter can convert files between the most popular audio formats. FairStars Audio Converter is a simple, stable, fast and very efficient converter. »» Free download FairStars CD Ripper! FairStars CD Ripper ::: a computer program that allows users to extract music from audio CDs. Using FairStars CD Ripper, you can extract audio from audio CDs and convert it into different audio formats. FairStars CD Ripper is very useful for backing up your audio CDs. Webcamoid ::: a computer program that allows users to capture video. Using Webcamoid can record video using the webcam. 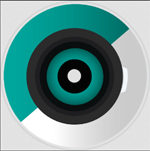 Webcamoid is a simple, stable, fast and efficient video capture software. »» Free download FairStars Recorder! FairStars Recorder ::: a computer program that allows users to burn audio. Using FairStars Recorder, the audio recording is much simpler and efficient. FairStars Recorder is a simple, stable, fast and efficient audio recording software. »» Free download AnyMP4 DVD Ripper! AnyMP4 DVD Ripper is very useful for making backup copies of your DVDs, store them on the hard drive.